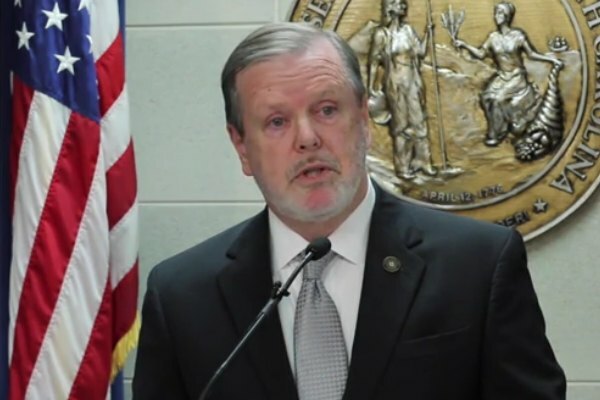 North Carolina Senate Leader Phil Berger last week defended a controversial law that targets the LGBT community. House Bill 2 was a knee jerk reaction to passage of an LGBT protections bill in Charlotte. Lawmakers approved and Republican Governor Pat McCrory signed the bill during a one-day special session. It repeals Charlotte's ordinance and blocks other cities from enacting similar measures. It also bars students attending public institutions from using the bathroom that does not conform to their gender at birth. McCrory later expanded those bathroom exclusions to state workers. The law spurred companies, politicians and artists to speak out. PayPal and Deutsche Bank have halted expansion plans in North Carolina, while several cities and states have instituted non-essential travel bans to the state, the latest being Los Angeles. Cirque du Soleil, Pearl Jam and Boston are the latest artists to cancel shows in North Carolina to protest the law. Senate Minority Leader Dan Blue, a Democrat from Raleigh, told the News & Observer that he believes Republicans are not taking the negative response seriously.